Sad to learn of the ZooKeeper being killed by a Tiger in Badaling Wildlife Park, China. Very few details as yet. I am surprised that so few newspapers have picked up on the story. My condolences to friends, family and colleagues. There are more than a few links with reference to the UAE below. Probably a good move because sadly there are a lot of people in the Emirates who should not be allowed within two foot of an animal let alone own one. On the other hand there is some wonderful work being done in some of the zoos. It saddens me more than a little that the journalists who pull these articles together do not a little more in depth research. So once again we have the oft repeated lie turning up "helping important local species, such as the cheetah, which is extinct in the wild in the UAE. "….when it has never actually occurred in the UAE. Sticking with Cheetahs for a moment. There is mention in one article of a Cheetah being declawed! I don't know about you but I found that extremely disturbing. I find the declawing and tooth filing of any cat disgusts me to the core....but a cheetah?. It is my sincere and deep held belief that vets who carry out such procedures need to have a serious re-think about their work. More to the point though is the individuals who ask them to do such things should not own big cats at all. A couple of weeks back I remarked on this subject in the ZooNews Digest Facebook group with regards to tiger called 'Jonas' being held by the Bowmanville Zoo which was described as "had been declawed and had its teeth dulled so it was essentially harmless." My remarks stirred up a hornets nest of abuse and attack upon myself for condemning the practice. It left me wondering just what sort of people we have out there working in some of our zoos today. Though I believe that Facebook is an excellent way to get messages out, more or less instantly (Zoo News Digest has over 14,000 Likes and a post reach of over 43,000....but sadly it includes some of the great unwashed, the trolls and those who have never read a book in their lives. It is unfortunate that it is not possible to reason with such people but maybe, just maybe it might perhaps make one or two of them think just a little. I recall with some amusement the first comment that I had when I wrote White Tiger Breeding is Not Conservation The comment read "1st of all white tigers are rare 2nd of all they are endangered and 3rd of all they are a species!!!! i should know because i did a book report on them when i was 9 and i remember taking out about 15 books about both tigers and white BENGALED tigers... So u have no right to say they aren't endangered,rare, and species!!!!! D=< " That about sums up what we are up against. 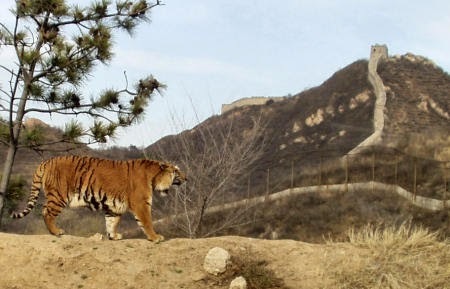 A patrolman at the Beijing Badaling Wildlife Park was killed by Bengal tigers inside the tiger zone, the Zoo has confirmed. An investigation is now underway said Zoo officials. The BBC has been accused of cruelty for using wild animals in a new drama. Our Zoo tells the true story of Chester Zoo, which pioneered a freer approach to animal captivity. But just days before it screens nationwide, a coalition of animal rights groups have launched a bitter campaign against the show's 'cruel' use of wild animals as actors, calling it 'a shocking use of public money'. The British and Irish Association of Zoos and Aquariums (BIAZA), which promotes the values of good zoos and aquariums, has compiled a list of the top ten reptiles and amphibians benefitting from the aid of zoos in the UK and Ireland. The golden mantella, the komodo dragon and the Ploughshare tortoise have all made it on to the list, which highlights some of the best examples of how zoos are safeguarding the future of our planet's wildlife and their habitats. Dr Andrew Marshall, a conservation biologist working in the Environment Department at the University of York and at Flamingo Land near Malton, co-ordinated the list with input from conservation experts based at BIAZA zoos. Dr Marshall, a member of BIAZA's Field Programmes Committee, said: "Zoos are part of a global conservation community. Last year, BIAZA published a report on the top ten mammals most reliant on zoos, which highlighted the work being done by zoos to help safeguard their future. This year, we have focused on ten prevailing examples of reptiles and amphibians that zoos are working to save from extinction.The list includes some fantastic species, many of which are facing a dramatic decline and are in a desperate situation in the wild." The next time you visit Vandalur zoo, do not forget to observe the animals feeding together as a group. Tigers, chimpanzees, lion-tailed macaques and bears, all seem to be happily sharing the feed. The zoo has implemented a new system called ‘cooperative feeding’, inspired from the wild. In the jungle, the dominant animal in a group eats its share first, before leaving some for the subordinate ones. Eventually, every animal in the group gets its due share. In captivity, however, the animals do not belong to a single group, as they are rescued and brought from various places. Therefore, it becomes imperative to introduce the ‘cooperative feeding’ technique, say zoo authorities. According to K.S.S.V.P. Reddy, zoo director and additional principal chief conservator of forests, this feeding habit has been recorded among primates, reptiles and carnivores in the wild. On Saturday, in Dallas Zoo, a keeper got attacked by the lioness during big cats’ routine transfer. The zoo officials said that keeper was hospitalized but his injuries, including bite on a shoulder, were not threatening for his life. To secure the area, animal was later transferred. Sofia. Zoo in the Bulgarian capital city Sofia has been temporarily closed due to the death of several ruminant animals during the weekend, the press office of the zoo announced for Sega daily. A camel, a bison, a gaur and several cows died during the weekend. A female Sunda clouded leopard has been fitted with a satellite collar - for the first time ever - by a conservationist studying the movement of the endangered species in the lower Kinabatangan area. Wildlife Conservation Research Unit (WildCRU) team member Andrew Hearn, who is a PhD student with Oxford University, said the leopard was the fourth one collared but was the first female to be tagged. "After more than a year and a half of setting traps each day, the capture of this healthy female leopard is a breakthrough for our project," Hearn said. "We are hopeful that the data from her collar will provide essential insight into her movements that will enable the development of appropriate conservation actions for her species." Born at 10:55 p.m. Aug. 20, at the Reid Park Zoo in Tucson, the baby calf is the first African elephant ever born in Arizona and the first one born in the United States this year. "The calf hit the ground at exactly 10:55 p.m., took a first breath immediately, stood up within minutes, and began to nurse within the hour," according to the Reid Park Zoo website. At less than a week old, Arizona's biggest baby weighs 245 pounds. Zoo officials are calling her a happy, healthy baby elephant, although she'll continue to have 24-hour monitoring for now. "I have to give all of the credit to the amazing staff we have here at the zoo," said Jason Jacobs, zoo director at the Reid Park Zoo. "They have been watching this elephant 24 hours a day since early July." A rare white tiger at the Singapore Zoo in Mandai was put to sleep earlier this month after it developed a tumour, leaving just one male behind in the popular enclosure. Winnie, who was one and a half months shy of being 15 years old, was terminally ill after developing a tumour in her jaw bone and was euthanised on 12 August after the zoo’s keepers and vets found that her condition had worsened over time. The Dubai Mall is heralded as progressive — except in it how it treats animals. The United Arab Emirates is home to one of the largest and most expensive structures of our time. The mall is part of a jaw-dropping $20 million Downtown Dubai complex with more than 1,000 shops and a deluxe cinema. Yet, the Dubai Mall doesn’t stop there. The mall is trying to squeeze a zoo and an aquarium into a mall when zoos are usually already too small to meet the needs of captive animals. The sharks really set the tone to the 2008 mall grand opening. As reported in The Telegraph, more than ten percent of the Dubai Aquarium’s sharks had been killed by other sharks before the mall even opened. A beloved hippopotamus died an agonizing death in a zoo in Germany after a visitor threw a tennis ball into his enclosure that he mistook for an apple. Maikel, 39, wolfed the ball down... only to die four days later with his bowel blocked up. Zoo staff said he was in acute agony before his death and had no clue as to what he was suffering from. On Thursday morning he collapsed and died in the water in his enclosure, his lifelong partner Petra swimming repeatedly over his body and trying to nudge him to get up. When Rihanna, the pop star, posted an Instagram picture of herself posing with an endangered animal in Thailand, last year, it caused an uproar. While the furore surrounding her faux pax might have long since died down, the issue she inadvertently highlighted has not gone away. From snapping a pic with a slow loris – a protected primate – in Phuket, like Rihanna did, to elephant trekking in Chalong, there are numerous opportunities for British visitors to engage in some form of animal tourism during the course of their trip. Photogenic animals might be the perfect fodder for Facebook posts but many of the animals in question, including elephants, are not indigenous to Phuket. Before paying money to touts or travel agents, a responsible tourist should think about the indignities the creature in question might have had to endure to become so docile and obedient. Indeed two men were arrested on suspicion of animal exploitation in the Rihanna case, and she took the offending photograph down. The Mehr News Agency reports that Keyvan Hooshmand said the deer was male and had been left in the care of the Khoramabad Zoo since last year by the Lorestan Department of the Environment. The assailant and the motives for the deer's shooting have not been identified so far. This is the second time in recent months that a deer in a protected area has been killed by unknown assailants. What is thought to be the world’s oldest wombat turned 29 this week. The animal, which looks a bit like a large gopher or a giant hamster, lives in a wildlife park in southeastern Australia. The wombat, known at Patrick (or sometimes “Fat Pat from Ballarat”—Ballarat being the name of his home wildlife park) is also quite large, weighing in at about 40 kilograms (188 pounds), the maximum known weight for the animal—though most don’t get this big. A WILDLIFE park worker who delivers amusing talks about penguins has been named the 2014 Oxfordshire Cotswolds Tourism Superstar. Chris Green, 31, a bird keeper at the Cotswold Wildlife Park, near Burford, was chosen in an online poll from a shortlist of five people nominated by their employers, with 857 votes cast. A frog that doesn’t croak; another which changes colour; and a giant tadpole are just some of the species dodging extinction thanks to Fota Wildlife Park. That’s according to a new report by the British and Irish Association of Zoos and Aquariums (BIAZA), which promotes the values of good zoos, parks, and aquariums. These creatures are among some of the top 10 most endangered species of reptiles and amphibians benefiting from the aid in Britain and Ireland. BIAZA says places like the Cork wildlife park are some of the best examples of how zoos, parks, and aquariums are safeguarding the future of our planet’s wildlife and their habitats. The trio includes a frog known as the Mountain Chicken. It is one of the largest frogs in the world and is a critically endangered species. Native to Central America and parts of Mexico, one of the reasons it is so endangered is that it tastes like chicken and has been hunted for its meat for generations. The other endangered frogs thriving at Fota are Morelet’s leaf frogs. These striking lime-green creatures with a pink or orange underbelly are rapidly disappearing as their forest habitat is destroyed in Central America. They have incredible jet black eyes with no discernible iris and wide webbing between their toes which allows them to parachute between trees. A story has recently been making the rounds that Ai Hin, a giant panda at China's Chengdu Research Base of Giant Panda Breeding, may have faked a pregnancy as a cunning way to receive better treatment. But this version of events is highly unlikely. Xinhua, China's state news agency, reported that what was supposed to be "the world's first live broadcast of the birth of panda cubs" was called off after it turned out Ai Hin actually had a "phantom pregnancy," a regular occurrence among giant pandas. But the article goes on to suggest that this latest panda pregnancy fake out may have been drawn out after Ai Hin noticed the special treatment that came with the perception that she was expecting. A leading veterinarian has warned that keeping exotic animals as pets at home runs the risk of serious injury not only to the animal but also to people, especially young children. Dr Yahya Elnoush, a veterinarian at Animal Welfare Al Ain, said it is dangerous to keep wild animals such as big cats at home, saying the unfamiliar habitat is likely to make the animal lash out. “How any one can expect a wild animal, who is only familiar with jungle life, to live happily in the city house?” said Dr Elnoush. Dr Elnoush recalled an incident that happened in Al Ain last year when one big cat ran away from its owner’s house and was found hours later roaming the city. “It created a chaos in the city. Everyone panicked,” he said. Debbie Spalton, from the UAE-based Middle East Animal Foundation, said there were no licences being issued in the country permitting keeping endangered animals for “personal use”. “There are laws which can punish people for keeping these animals as pets. But it’s not really clear how often they are enforced,” she said. 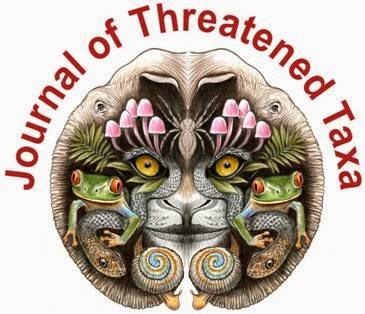 The trade in wild animals is regulated by Cites, the Convention on International Trade in Endangered Species of Wild Fauna and Flora, which has procedures in place to protect rare species. The UAE is a signatory to the convention, which means rare animals may be traded only with appropriate paperwork. Ms Spalton said that some websites in the UAE advertised rare and endangered animals for sale. The UAE is at the centre of global trade in cheetahs, in particular, and there is genuine international concern about it. Dr Ulrich Wernery has seen the dark side of the fascination with keeping exotic wildlife as pets. When wealthy people pay thousands of dirhams for rare animals such as big cats, birds and even apes without knowing how to care for them, he sees the consequences. By the time the animals reach the Central Veterinary Research Laboratory in Dubai, where Dr Wernery is the scientific director, they are beyond help. At least once a month, he and his colleagues receive dead creatures, mostly big cats, hyenas and birds. Investigations into the cause of death usually yield the same answer – diseases or problems caused by poor diet or other forms of mistreatment by the owner. This month a cheetah was taken to Dr Wernery’s lab. A post-mortem examination found pieces of carpet in the animal’s stomach. It had probably been kept in an enclosure with carpeting and had been ripping it apart when hungry, said the doctor. “People think it is nice if they keep an animal on carpet,” said Dr Wernery, who has seen similar problems in captive Gordon’s wild cats, a rare local species. The trade in wild animals is regulated by Cites, the Convention on International Trade in Endangered Species of Wild Fauna and Flora, which has procedures in place to protect rare species. The global trade in cheetahs is fuelled by demand, and the UAE is at the centre of it. The easiest of the big cats to tame, the cheetah is a long-time human companion, as its other name – the hunting leopard – suggests. It is the fastest mammal on Earth, and smaller than lions and other big cats – two factors that account for its popularity. Historically, cheetahs have not been able to breed well in captivity and the demand for wild-caught animals has placed additional stress on populations. With an estimated 7,500 adults left in the wild, they are named on the Red List of Threatened Species as vulnerable to extinction. They are also included in Appendix I of Cites, which means commercial trade in the animals is not allowed. A report submitted to Cites in July this year by Kuwait says the UAE confiscated 32 cheetahs and four cheetah skins from smugglers between 2007 and last year. In the first half of 2014, 11 cheetahs were confiscated at the Ghweifat border post with Saudi Arabia. Most of the confiscated animals came from Somalia. An analysis of Cites data by Traffic shows, the UAE declared the import of 151 cheetahs between 1991 and 2011. Of those, 121 were bred in captivity and one was declared as captive-bred but did not meet Cites’ criteria. Each morning, while everyone else is commuting to work, Alan Stephenson enters a lush, landscaped private oasis. As manager of the Sheikh Butti bin Juma Al Maktoum Wildlife Centre, he shares his picturesque workplace with dozens of flamingos, meerkats, antelopes and a host of other animals in a compound large enough for them to roam freely. “This is the way I like to see animals, not in cages,” said Mr Stephenson. Wealthy collectors have long been criticised by conservationists for being secretive about the animals they keep in private zoos. But this centre, says Mr Stephenson, is an example of how one person’s interest in rare wildlife can play a part in conservation efforts. The centre is home to animals from all over the world and is focused on helping important local species, such as the cheetah, which is extinct in the wild in the UAE. It has 24 animals capable of breeding, with the youngest cubs just two years old. This year 70 flamingo chicks, some the native Greater flamingo but also the rarer Lesser flamingo, hatched at the centre. “We are now trying to channel the expertise, the management and the finances into something positive, something for conservation – breeding the Arabian oryx, breeding local species which are noteworthy, instead of just having a whole collection of funny animals that are not suited for this climate,” said Mr Stephenson. The centre also breeds Lesser kudu antelopes and the northern bald ibis, listed as critically endangered by BirdLife International. Responsible individuals looking to set up their own collection need to consider several factors, said Mr Stephenson, the first being whether the animal they intended to buy was suitable for captivity. Pesticides in grain and bran have been found to have been the cause of the deaths of a number of animals at Sofia Zoo in recent days, reports on August 28 said, after the zoo was closed at the weekend because of the series of deaths. The deaths were not linked to the current outbreak of Bluetongue disease in Bulgaria, an investigation found. In recent weeks, Bluetongue disease has led to the deaths of several thousand animals in various parts of Bulgaria. The San Francisco Zoo is both celebrating and mourning because of a rare event, the birth of twin giraffes. But one of the newborns did not survive for long. The male calves were born Tuesday, with one weighing in at a healthy 100 pounds and standing 5 feet 6 inches tall, while the other calf was weaker at 75 pounds and was not able to nurse. Thursday, the smaller calf died. "This is a bittersweet announcement to make, but this very unique twin birth is something for all of the Bay Area to take pride in," said San Francisco Zoo President Tanya Peterson. "We hope everyone will come share their best wishes with Bititi (the mother) and give a warm welcome to our newest resident." The zoo has yet to name the newborn, which can currently be seen at the African Region section where it lives with its parents and four other giraffes. Twin births are rare for giraffes. Out of 8,600 normal births worldwide, there are only 32 twin births. The SF Zoo's is one of only 10 successful, live births in captivity. The Johannesburg Zoo’s international accreditation has been temporarily suspended. The Association of Zoos and Aquaria says the decision was prompted by a recent incident involving the importation of eight sitatunga antelope at OR Tambo International Airport earlier this month. It’s understood the antelope were imported from Prague Zoo in the Czech Republic. The animals were put down after it was found they did not have necessary papers to be in the country. The association has launched an investigation to determine whether the process of importing the antelope into the country was ethical. A lion bit and scratched a Dallas Zoo keeper on Saturday during a routine transfer of the lions in the off-exhibit lion house. The 35-year-old zookeeper didn’t secure a door allowing the female lion into the same enclosed space as him. The keeper was injured while attempting to escape and used pepper spray as a last resort, said spokeswoman Laurie Holloway. The keeper is being treated at an area hospital for a bite on the back of his shoulder and scratches on his chest. The injuries are not thought to be life-threatening. A second keeper was behind a separate set of locked doors and helped distract the lion while the other keeper got away. Local residents and visitors have criticized the zoo in Taif for neglecting its animals and bad upkeep. They said the owner of the zoo is not taking good care of the animals and left some of them to starve by cutting their food supply, Makkah daily reported. It was also claimed that many of the animals seem to be suffering from diseases. Other complaints included bad services and a lack of variety among the animals. Visitor Muhammad Al-Otaibi said the lack of cleanliness in the animals’ enclosures has caused foul odors to emanate from them. He also claimed each visitor is charged SR10 even though Taif Municipality reportedly claimed entry in all zoos and parks is free. 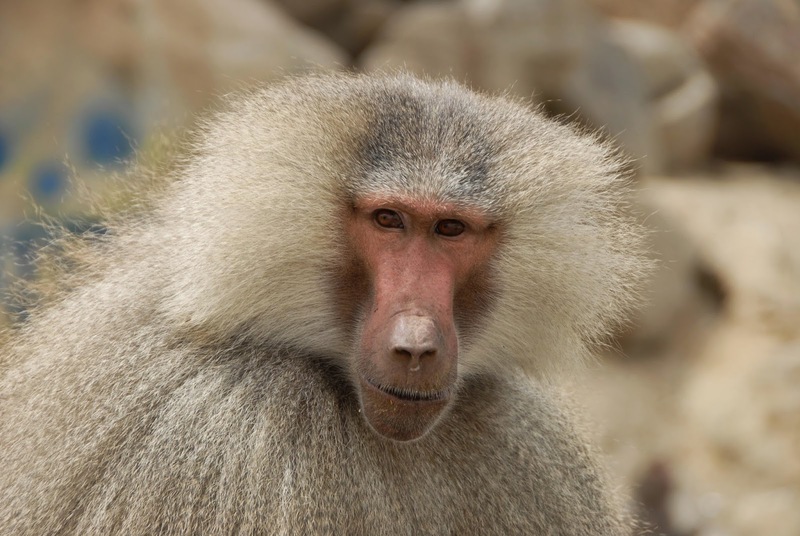 Visitors are usually seen leaving the zoo as fast as they enter to avoid catching any diseases, said Al-Otaibi. This weekend marks the birthday of the zoo, which is home to 150 animal species including the endangered Amur tiger, the world's northernmost tiger species. A variety of special events are on offer this weekend to celebrate the 125th anniversary of Helsinki's Korkeasaari Zoo. In addition to special events aimed at children, there are also theatrical presentations that re-enact the zoo’s history, guided tours and the possibility to meet those who work with the animals on a daily basis. In a dramatic shift in tone, the Clearwater Marine Aquarium's updated plans for a new aquarium downtown feature less showmanship and more rehab and rescue. Gone from the plans is a proposed stadium with 2,000 seats for tourists to take in dolphin shows. Instead, the updated plans, unveiled Friday, feature dolphin habitats and behind-the-scenes tours of animal operating rooms. Overall, the new design has a much heavier focus on the aquarium's longtime mission of rescuing and rehabilitating marine mammals, and ultimately releasing them back into the wild. CMA also says its new facility will cost $68 million to build, a steep drop from the previous sticker price of $160 million. This comes at a crucial time for the aquarium, with the Dolphin Tale movie sequel coming out in weeks, an upcoming bid for Pinellas County bed tax dollars and a major fundraising effort that's just now getting off the ground. SeaWorld Entertainment Inc. should have done more to counter the anti-captivity documentary "Blackfish" and in the future will promote its rescue and conservation efforts more aggressively, Chief Executive Officer Jim Atchison said Wednesday. Despite the outcry over its treatment of killer whales, people may simply love zoos too much to completely boycott SeaWorld Entertainment Inc.
That’s the view of FBR & Co., which upgraded the theme-park operator to outperform from market perform on Friday and raised its price target to $26 from $21. Shares of SeaWorld SEAS, +6.63% were up 1.5% to $19.30 Friday morning, though they are still down some 33% year-to-date. Researchers from Chester Zoo, The University of Manchester and the University of Liverpool carried out a six-year study which encompassed 90% of European population of black rhino. Dr Katie Edwards led the research as part of her PhD at the University of Liverpool. She says: "Although some black rhinoceros breed well in captivity, not all do therefore reducing the vital genetic reserve that these populations represent. The National Aquarium in Baltimore has displayed dolphins for many years but are now considering retiring them to a "sanctuary". CEO John Racanelli states in a recent article in the Baltimore Magazine that films such as "Free Willy", "The Cove" and "Blackfish" have driven such an agenda. If this is the case, then this really is an absurd idea and the reason given for promoting it by the aquarium's CEO are weak to say the least. If he is honestly justifying removing the dolphins from the aquarium on the basis of the above mentioned films then the lunatics really have taken over the asylum. First, it is important to understand that the 1999 feature film "Free Willy" is a work of fiction: a young boy befriends a lone killer whale in a theme park whose owner plans to kill the whale to gain a $1,000,000 insurance policy; after a series of adventures, the boy manages to free the whale back to the wild. Ironically, Kieko (the whale used in the film) was being held alone in a Mexican theme park. The film generated concern over his care and a project was mounted to release him back to the wild. The first stage of this plan was his removal to a purpose built pool at the Oregon Coast Aquarium and then to a sea pen in Iceland were he would be rehabilitated back to the wild. Unfortunately, the project was beset with problems and political wrangling within the animal-rights lobby groups promoting the project. 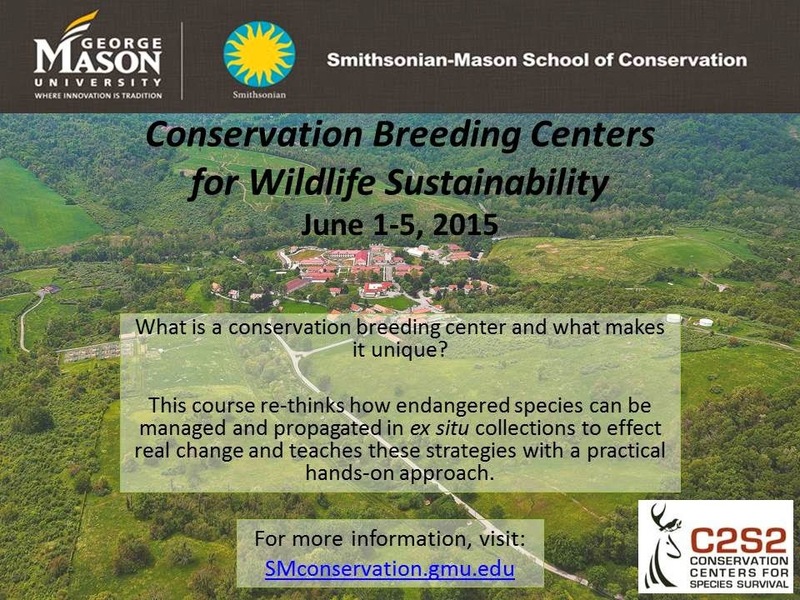 Is training zoo animals enriching? Husbandry training of zoo animals (training) has been associated with many benefits, and indisputably is a valuable tool; training facilitates movement of animals within their environment, and participation in husbandry and medical procedures. Training has also been considered to be enriching. With few exceptions systematic empirical data have not been collected which have evaluated the impact of training zoo animals outside of the training session. Most publications in this area are methodological, outlining what behaviours can be trained and how, or consider the value of training whether it is believed to be beneficial or detrimental. Determining whether training is enriching, is in part hindered by semantics; what is meant by the suggestion that training is enriching? To move this situation forward five hypotheses have been suggested in this paper whereby animals would be considered to be enriched, if training: 1) affords learning opportunities, as learning is considered to be enriching; 2) can achieve the same results as conventional environmental enrichment (CEE); 3) increases human–animal interactions; 4) provides a dynamic change in the animals’ day; and 5) facilitates the provision of CEE. These suggested hypotheses are by no means exhaustive, but represent commonly held assumptions used to explain how training might be considered enriching. These hypotheses provide a starting point to systematically consider available data which support or refute whether training is enriching; an evidence based approach. Data collated revealed that training could be considered enriching according to: hypothesis 1, whilst the animal is still learning; hypothesis 2, if the ultimate consequence of training was considered itself enriching. More data are required to test hypothesis 3. And data did not support that training was enriching in and of itself according to hypotheses 4 and 5. In conclusion, training was not considered to be an appropriate alternative to the provision of CEE. Both, training and CEE are recommended to ensure an integrated holistic captive animal management strategy which will meet an animal's needs. A helicopter that scooped water from the pond of a zoo in central Anatolia to douse a nearby wildfire has caused the death of several birds. The firefighting helicopter came from the southern province of Adana on Aug. 22 to help locals extinguish a fire spreading in the forests of Mount Ali in Kayseri province. This blog is a lot about failure and how to not let yourself get down by it. I’ve said a lot about this, attenuated with semi-brief* anecdotes from yours truly. But over the past several weeks I’ve had the pleasure of meeting people both in this field and aspiring trainers who compliment my blog and then address me like I’m some kind of Big Name. As an aside: I’m no Big Name, just some moron who writes and does whacky google image searches while showing my clumsy, Dolphin Huggery personality. But nonetheless, I’m still flattered and humbled by the positive feedback. Anyways, when these kind people tell me they like my blog and that it helps them out, that means a lot to me. But I hope everyone knows that I started out just like anyone else, I struggle with insecurity in my own job performance sometimes, and sometimes I get a little down. I mean, all of that is normal. In fact, if I didn’t go through that stuff, I’d never grow as a trainer, a supervisor, or a person. You guys all know that is true about yourselves, too. breeding snow leopards and added improvments to the animal management. audio-visuals from the cubbing box. The August 2014 issue of ZOO’s PRINT Magazine (Vol. 29, No. 8) is online at <www.zoosprint.org> in a format that permits you to turn pages like a regular magazine. 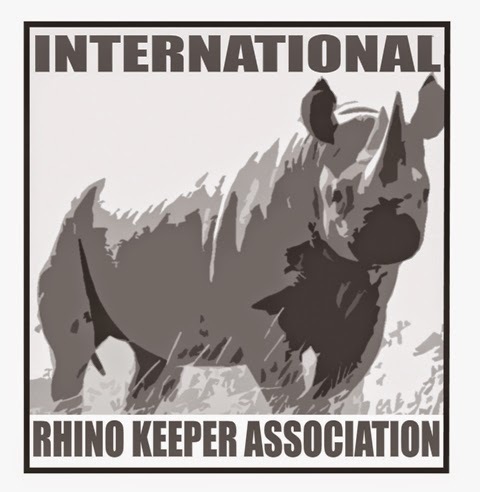 The American Association of Zoo Keepers (AAZK) reached a significant milestone this week when the all time total for its national fundraiser, Bowling for Rhinos, reached the $5 million mark, providing nearly 25 years of contributions towards rhino conservation. Since 1990, AAZK has supported the rhino conservation efforts of Lewa Wildlife Conservancy (formerly called Ngare Sergoi Rhino Sanctuary) in Kenya through local chapter organized bowling events. AAZK realized that the zoo keepers of the world were extremely conservation-oriented and wanted to help save rhinos and their habitats, yet did not have the financial resources themselves to make any significant impact. That’s when the idea came to start Bowling for Rhinos. These bowl-a-thon fundraising events take place in over 70 locations across the U.S., Canada and in Australia. In 1994, AAZK expanded its reach to Indonesia, working with the International Rhino Foundation to protect the Javan rhino in Ujung Kulon National Park and in 1977, the Sumatran rhinos in Bukit Barisan Selatan and Way Kambas National Parks in Sumatra. Today, funds from Bowling for Rhinos help support rhino conservation on two continents, helping to protect not only rhinos but also their delicate ecosystems. Bowling for Rhinos also supports Action for Cheetahs in Kenya. Cheetahs share much of the same habitat as rhinos and by working to conserve cheetahs AAZK also is saving rhinos and the countless other species that call that habitat home. "Our continued success allows participating zoos to shine in the conservation world, " said Patty Pearthree, AAZK Bowling For Rhinos project manager. " In Kenya, we now protect more than 1.5 million acres of white and black rhino habitat under the Lewa Conservancy’s conservation charter. In Indonesia, we help to protect nearly the same acreage of crucial lowland rainforest habitat for the survival of the Javan and Sumatran rhinos, as well as other species living in their ecosystems including Sumatran tigers, elephants, tapirs, Javan gibbons and sunbears." The international trade in rhino horn drives the demand for rhino horn in Asian countries, influencing a greater increase in poaching activities. Poaching activities and habitat loss have caused rhino numbers to decline 90 percent since 1970. The American Association of Zoo Keepers, Inc (AAZK) is a nonprofit (U.S. 501c3) volunteer organization made up of professional zoo keepers and other interested persons dedicated to professional animal care and conservation. AAZK exists to advance excellence in the animal keeping profession, foster effective communication beneficial to animal care, support deserving conservation projects, and promote the preservation of our natural resources and animal life. MANY NEW AND IMPORTANT REFERENCES ON RHINOS IN THE WORLD. The total number of references in the database and collection of the RRC now stands at 18,861. All about rhinos, their history, biolgy and conservation. Many items can be viewed direct on the website. · www.plantworldnews.com is the website where all my news stories of the past ten years are gathered. It is curated news about plants and animal connections, plants and technology, medicine and climate change. Now it is searchable! Looking for the latest research and most interesting information on koalas and trees? Elephants as ecosystem managers? Promising medicines discovered in distant jungles? Ants and trees? Botany on your terms! The newly redesigned Plant World News is being launched today! and disperse population of European wild cats. The United Nations Strategic Plan for Biodiversity 2011–2020 is a key initiative within global efforts to halt and eventually reverse the loss of biodiversity. The very first target of this plan states that “by 2020, at the latest, people are aware of the values of biodiversity and the steps they can take to conserve and use it sustainably.” Zoos and aquariums worldwide, attracting more than 700 million visits every year, could potentially make a positive contribution to this target. However, a global evaluation of the educational impacts of visits to zoos and aquariums is entirely lacking in the existing literature. To address this gap, we conducted a large-scale impact evaluation study. We used a pre- and postvisit repeated-measures survey design to evaluate biodiversity literacy—understanding of biodiversity and knowledge of actions to help protect it—of zoo and aquarium visitors worldwide. Ours was the largest and most international study of zoo and aquarium visitors ever conducted. In total, 5661 visitors to 26 zoos and aquariums from 19 countries around the globe participated in the study. Aggregate biodiversity understanding and knowledge of actions to help protect biodiversity both significantly increased over the course of zoo and aquarium visits. There was an increase from previsit (69.8%) to postvisit (75.1%) in respondents demonstrating at least some positive evidence of biodiversity understanding. Similarly, there was an increase from previsit (50.5%) to postvisit (58.8%) in respondents who could identify actions to help protect biodiversity that could be achieved at an individual level. Our results are the most compelling evidence to date that zoo and aquarium visits contribute to increasing the number of people who understand biodiversity and know actions they can take to help protect biodiversity.